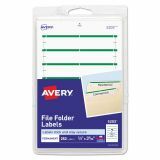 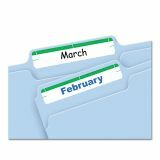 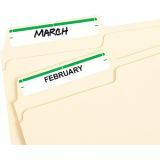 Avery Print or Write File Folder Labels, 11/16 x 3 7/16, White/Green Bar, 252/Pack - Create a professional and organized look for easy and quick identification with these filing labels. 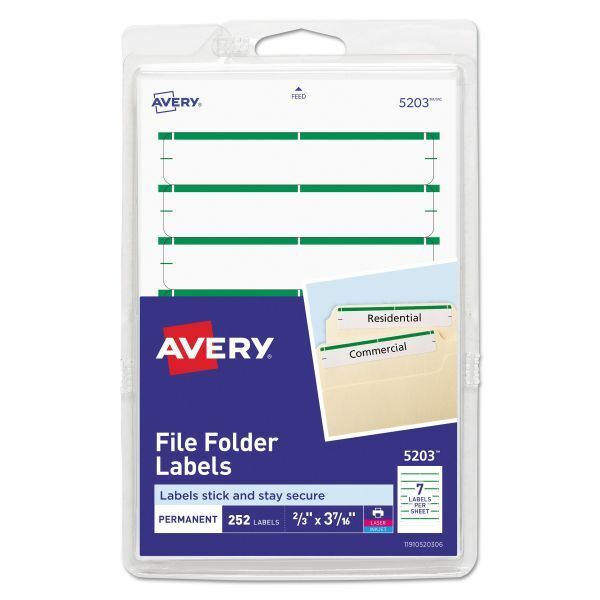 Ideal when you only need a few labels. 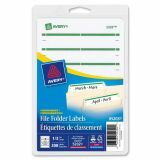 Permanent adhesive makes sure labels stick and stay without lift or curl. 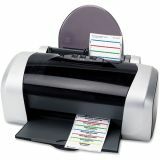 Write or print on the 4 x 6" sheets using an inkjet or laser printer. 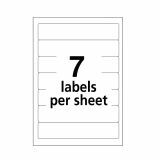 Each sheet contains seven labels. 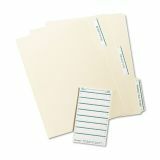 Each rectangular label is sized for 1/3-cut tabs on file folders. 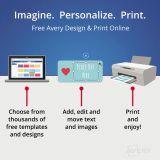 Avery offers many easy-to-use Avery Templates for Microsoft Word and many other popular software programs."